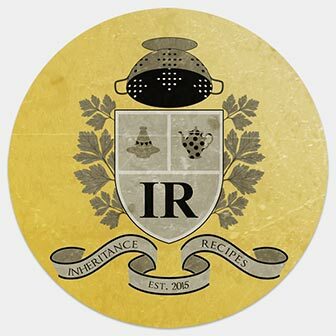 Welcome to the May edition of Inheritance Recipes! May is all about picnics, eating alfresco but weather is very unpredictable these days so any inherited recipes are welcome. Please, link-up via the form below. And in meantime don’t forget to take a look at colourful April round-up that Solange had put together. We will share your recipes via our social media channels and include in the round-up (with pictures) at the end of the month. We will also add your recipes to the Inheritance Recipes Pinterest board (that has 1.9 K followers) and include your blog’s handle in our Inheritance Recipes list on Twitter. Don’t forget to subscribe to them both! Closing date for this linky is the 26th of May 5 pm GMT. Please note that entries that fail to follow “how to enter” instructions won’t be approved, allow 48 hours for the entries to appear in the linky below. Full round-up with pictures will be posted at the end of May.